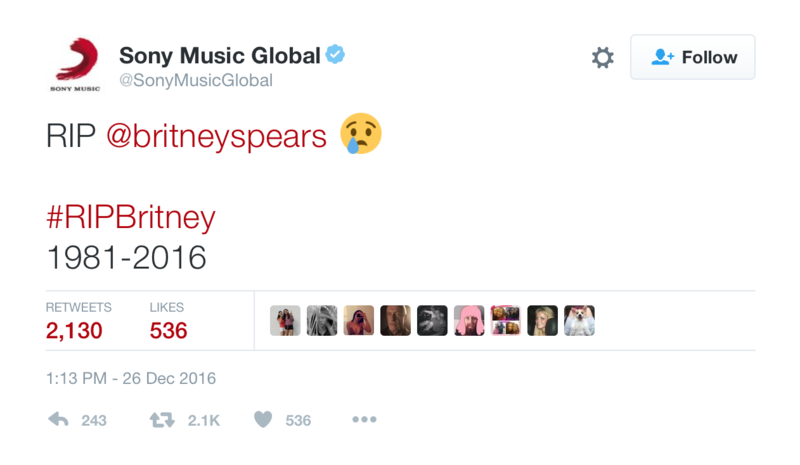 In the past few days we’ve already lost George Michael, Carrie Fisher, and now Sony Music Global has announced Britney Spears’ death. But don’t believe the headlines, it’s the result of a suspected hack, and the culprits appear to have even infiltrated Bob Dylan’s own account. 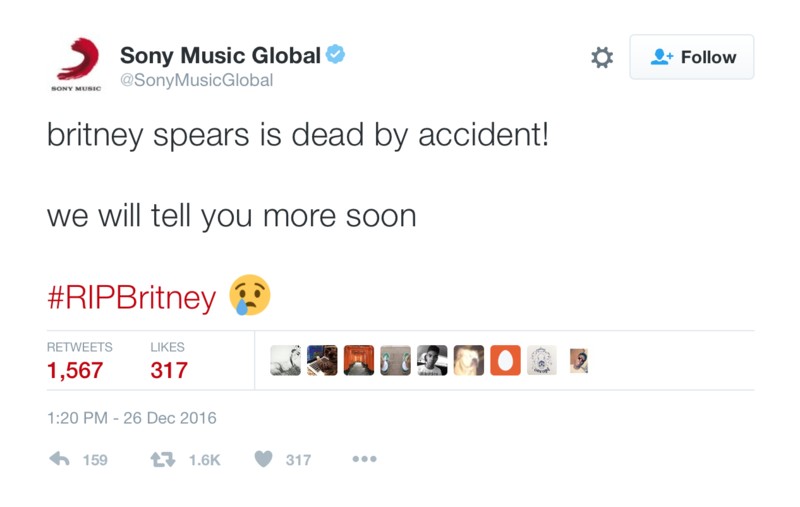 The tweets have since been deleted, and representatives from Sony Music have not offered comment, but Britney Spears’ publicist has assured fans that she is alive and well.